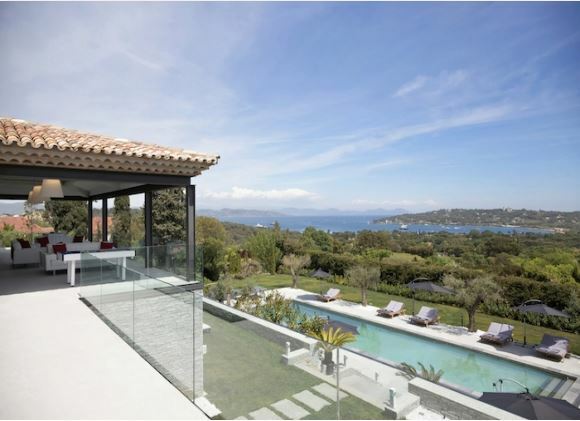 This exclusive 7 bedroom property is located just minutes from the centre of St Tropez and its famous restaurants, bars and the port. This beautiful property consists of 4 master bedrooms as well as 3 double bedrooms – each with its own bathroom and flat screen TV. 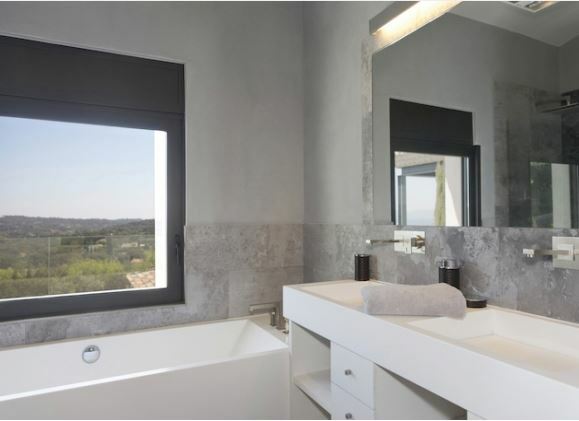 The villa has central heating and air conditioning as well as a heated swimming pool. 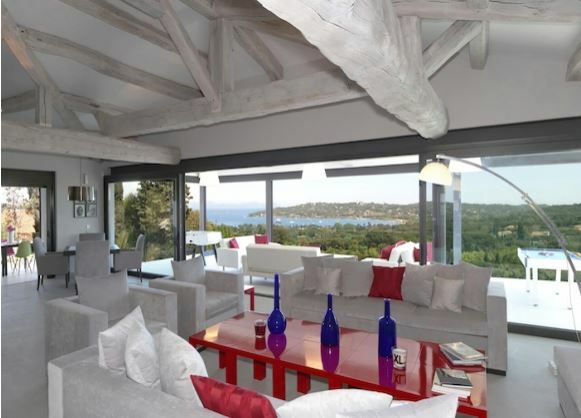 The stunning view of the Mediterranean Sea is one of the first things guests will see upon entering this property. The property continues to astound as the immense living area features comfortable sofas and a flat screen TV. The bar area includes a wine cellar and a games table as well as a large dining table to accommodate 14 guests. A small office area can be found just off to the side, complete with printer and telephone. From the living room, guests can venture onto the terrace to further enjoy the Mediterranean views from the outdoor lounge area. This terrace also boasts a dining table to seat 12 guests for wonderful al fresco dining whilst gazing at the sea. A 20×5 metre swimming pool is surrounded by sun loungers for 16 people. It also consists of a shaded seating area, a dining table for 12 people and a bar to enjoy chilled beverages in the sunshine. 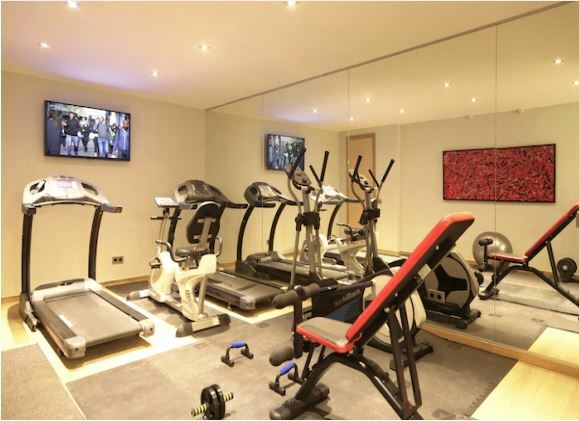 The fully equipped gym offers running machines, bike, mats and weights or guests can wind down in the sauna. 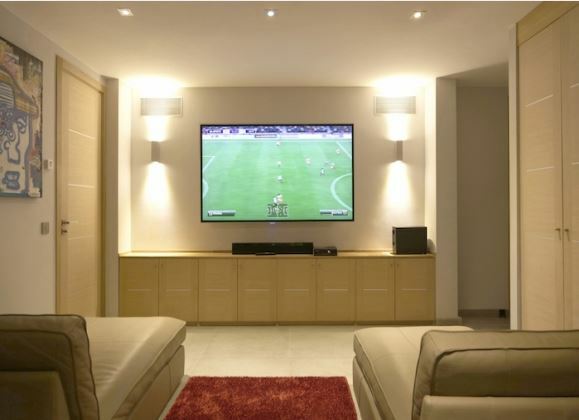 This fantastic property also offers a cinema room where you can stretch out to enjoy the latest blockbusters on of the luxurious chaise lounges.